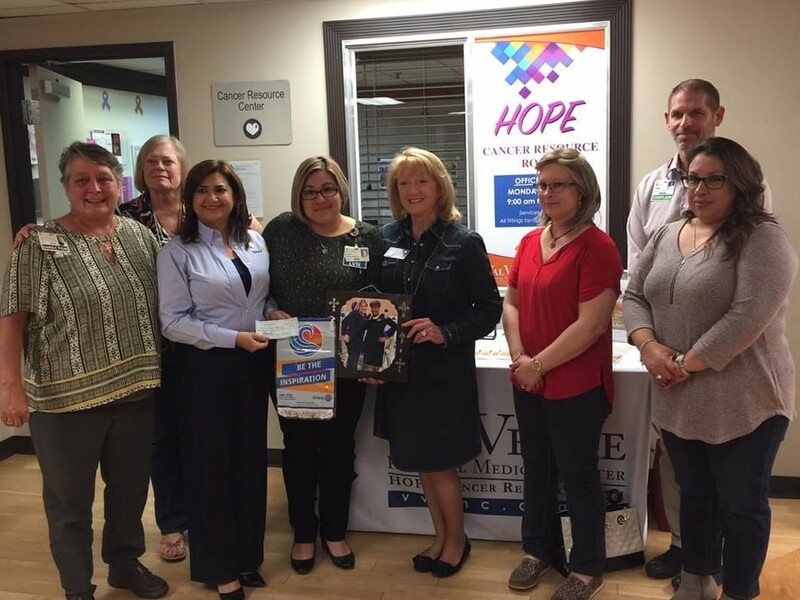 The Rotary Club of Del Rio stopped by the VVRMC's Hope Cancer Resource Room to make a donation in honor of Mary Pierce. Mary was a long time advocate for community members fighting cancer and spent a great deal of time helping in the HOPE Cancer Resource Room. Her passing is a great loss to our community and she is missed.